This is the next installment of our discussion regarding the use of business cards during a job search. We’ll be discussing Resume Business Cards. A resume business card takes the networking card one step further (See previous post). Here you may expand descriptive information on the front of the card, and put key qualifications and accomplishments on the back. Focus on your top two or three accomplishments (or qualifications), not on job titles or duties. It’s fine to mix and match the concepts of the three forms of business cards (Traditional, Networking, and Resume). For example, you may determine that it would be best received by your target audience that the front of the card has a traditional look. But, on the back, you may choose to put a branding statement and a couple of achievements. That’s fine. Exercise your best business judgement. 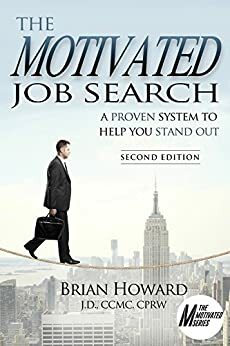 This topic is covered in more detail in The Motivated Job Search. You can check out the book on Amazon.